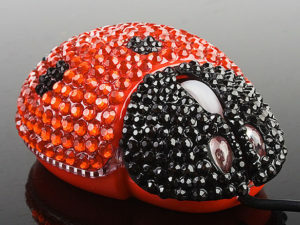 The Lady Bug optical computer mouse is a unique and stylish version of the 008 version. Not a lot of places carry this and so not a lot of people have seen this. Thus, if you get this, you will feel really unique and everybody will start asking questions about it. 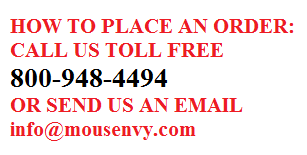 This is definitely a attention grabber and if you like getting attention, you will like this mouse. It comes in 5 different colors: blue, red, yellow, white, and silver. What is really cool and noticeable about this: The eyes. If you look at the front, you will notice 2 eyes that are similar to the eyes of an actual lady bug (the insect). This makes the mouse really stylish, and it shows your unique taste and attention to detail.